What do university leaders need to know and be able to do to internationalize their institutions? This volume provides senior professionals in international education, increasingly known as Senior International Officers (SIOs), with the foundational knowledge that informs leadership practices, together with suggested strategies for implementing and developing the wide range of functions, activities and skills associated with comprehensive internationalization that will ensure effective support for their institutions’ educational mission in today’s globalized and interdependent world. This book addresses strategic leadership issues in internationalization including strategic planning, shaping the curriculum, recruiting students, risk management, and developing partnerships. Throughout, the Association of International Education Administrators’ (AIEA) Standards of Professional Practice for SIOs and International Education Leaders (reproduced in the appendix) are integrated as a point of reference, providing a much needed guide for international education leaders. This resource is a vital starting point for anyone in a senior leadership role in higher education, as well as for anyone desiring to understand more about this key leadership position essential to higher education institutions in developing institutional global capacity and in educating global-ready graduates. Read a sample chapter: "Phases of Internationalization and the SIO role"
AIEA Past President William Brustein authors the first in an essay series entitled “Lessons from the Field.” Seasoned SIOs write about their experiences in internationalizing institutions and relevant lessons that can be applied in a variety of higher education contexts. 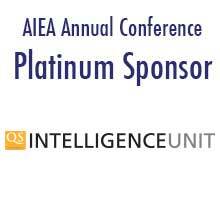 This first essay is entitled “It Takes an Entire Institution: A Blueprint for a Global University.” SIOs wishing to contribute to this series should contact the AIEA Editorial Committee through [email protected]. “It Takes an Entire Institution: A Blueprint for a Global University” by William Brustein details insights from his career that may be of value to colleagues in the field of international higher education working toward building a global university. Published by AIEA, 2018; 24 pages. New! A second edition, by John Heyl and Fiona Hunter, will be available summer 2018. Taking his cue from students of universities, change, and internationalization, former AIEA president John Heyl brings the prospects for the Senior International Officer (SIO) into contemporary focus. His starting point is the contradiction that change is now seen as "a positive good to be embraced by leadership and cultivated in organizational culture" but that SIOs are rarely trained in managing or leading change. The converging demands of globalization, the privatization of public higher education, and the spread of the internet all force SIOs to take advantage of new levers of change on their campuses. The SAGE Handbook of International Higher Education examines the internationalization of higher education from a marginal to a core dimension of higher education worldwide. This mainstreaming of internationalization is a fascinating phenomenon: new concepts, programs, providers, and methods of delivery are emerging; impressive national and regional scholarship programs have been established; radical reforms have been undertaken to make higher education globally competitive; and mobility of students and scholars has increased around the world. This groundbreaking handbook serves as a guide to internationalization of higher education and offers new strategies for its further development and expansion in the years to come. 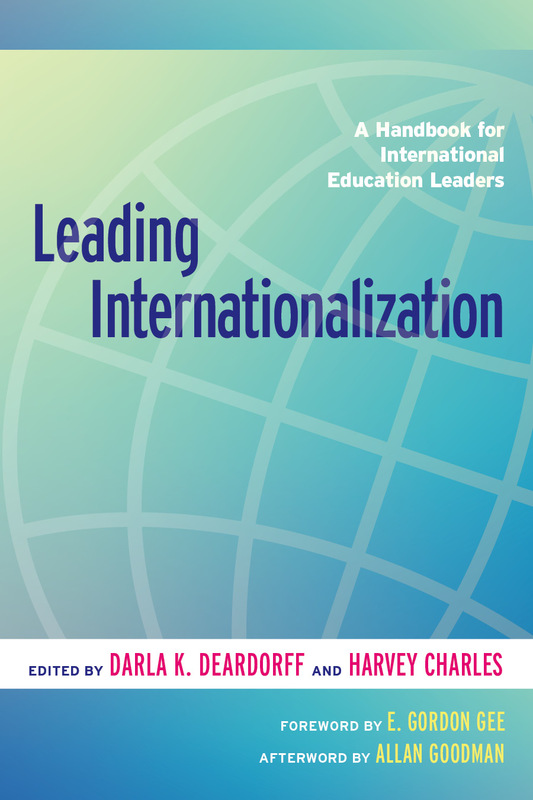 With a decidedly global approach, this volume brings together leading experts from around the world to illustrate the increasing importance of internationalization. The text encompasses the diversity and breadth of internationalization of higher education in all its thematic facets and regional impacts. Edited by AIEA Executive Director Darla K. Deardorff, Hans de Wit, John Heyl and Tony Adams. Chapter 1: "Internationalization Within the Higher Education Context"
Chapter 14: "Internationalization of the Curriculum"
Chapter 25: "Bridges to the Future The Global Landscape of International Higher Education"